SmartRegistryCleaner is an advanced Windows registry cleanup and defragmentation tool to fix, repair, optimize registry and boost your computer speed and overall performance. 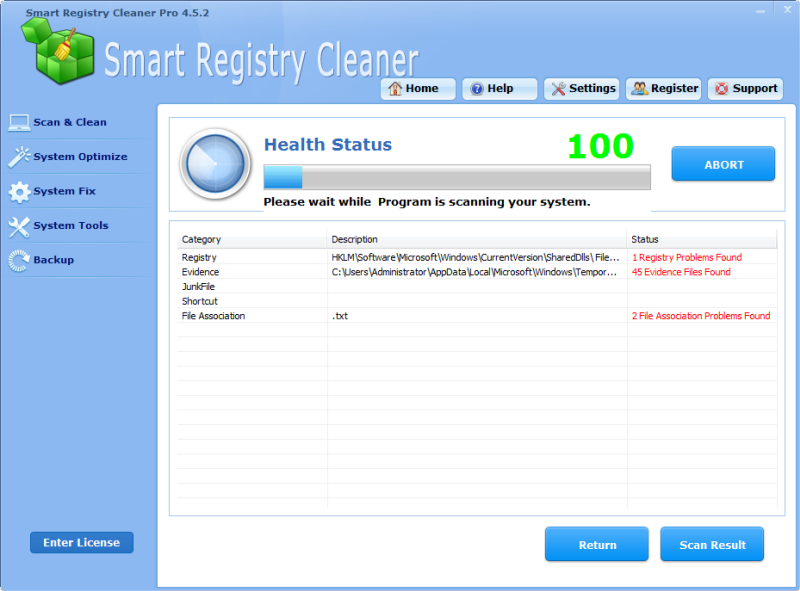 SmartRegistryCleaner is a powerful registry cleaner application. It effectively detects and clean Registry errors, repair windows registry, including Windows XP, Windows vista and Windows 7, while keeping your system stability. SmartRegistryCleaner is also one of the easiest applications to use. You can restore computer registry and improve system performance with a few mouse clicks! After use you will find it makes your PC faster. If you need more information please contact the developers of Smart Registry Cleaner (LionSea), or check out their product website.